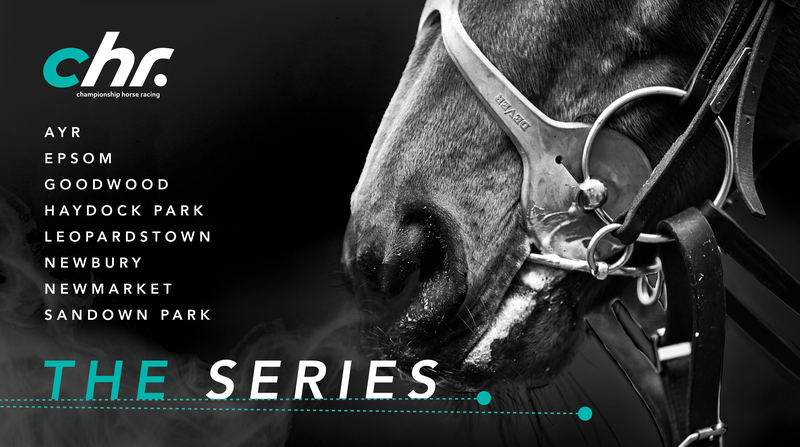 Championship Horse Racing has created The Series, which will debut at racecourses in three countries. The proposed courses are: Ayr, Epsom Downs, Goodwood, Haydock Park, Leopardstown, Newbury, Newmarket July Course and Sandown Park. Fixtures are proposed to take place on eight consecutive Thursday evenings from 25 July to 12 September 2019. The fixtures that form The Series will be additional to the British Racing Fixture List and require the approval of the BHA. Jeremy Wray, Chief Executive of CHR, said: “Agreeing the likely racecourse schedule is a key milestone for CHR. Over the next few months we’ll be announcing the teams and the media partners who will broadcast The Series across the world. Championship Horse Racing are the creators of The Series, the first league competition in the history of UK racing where teams vie for points over a race season. The Series is scheduled to take place across eight Thursday evenings from 25 July to 12 September 2019 and every one of the 48 races in The Series matters. There will be six races per meeting and each team will have one runner in each race. Points will be awarded for where teams finish in each race and the points added to a league table. The teams are competing to win The Series championship. There is also prize money at stake for trainers, jockeys and owners. All of the races will have prize money in excess of £100,000. Ayr has been awarded a gold standard by the Racehorse Owners Association and is home to the William Hill Ayr Gold Cup, one of the highlights of the Scottish racing calendar. Epsom Downs in Surrey is one of the world’s most iconic racecourses, staging two of the five Classics of the Turf each year, including The Investec Derby. Goodwood Racecourse is frequently described as the most beautiful racecourse in the world and hosts the five-day Qatar Goodwood Festival, affectionately known as ‘Glorious Goodwood’. Goodwood is synonymous with high quality racing and a relaxed garden party atmosphere. Haydock Park is one of the country’s leading racecourses, situated equidistant between Liverpool and Manchester, staging races including the Group 1 32Red Sprint Cup, one of Europe’s premier sprint races. Leopardstown Racecourse is Dublin’s only racecourse and the only track in Ireland to host Group 1 and Grade 1 action. It is the home of the QIPCO Irish Champion Stakes, won this year by Roaring Lion, and consistently rated one of the best races in Europe. Newmarket is revered as the Home of Racing, staging two of the five British Classics of the Turf. The July Course in Suffolk is home to one the most prestigious races in the world, the Group 1 Darley Cup, with the winner considered Europe’s premier sprinter. Newbury in Berkshire is home of the Group 1 Lockinge Stakes, which in 2012 was won by Frankel, while four of the last six winners have been Godolphin horses. Sandown Park in Surrey was the first purpose-built racecourse with enclosures in Britain and known as The Queen Mother’s favourite racecourse. It stages world-class racing including the Group 1 Coral-Eclipse Stakes.